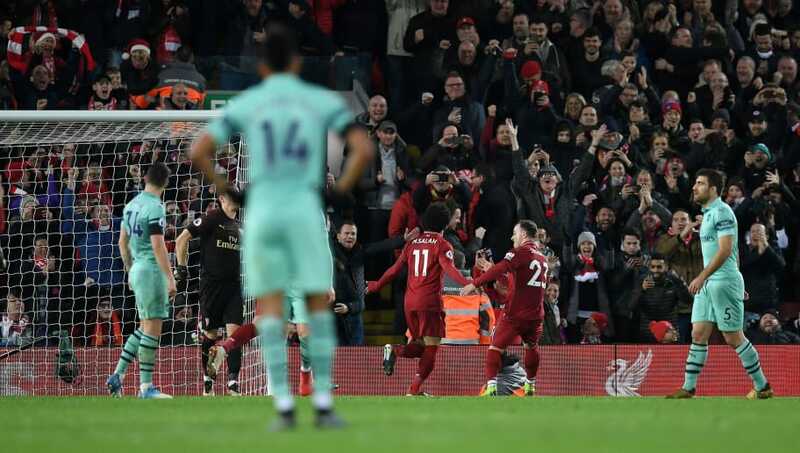 Liverpool extended their lead at the top of the Premier League to nine points in emphatic fashion following their 5-1 win against Arsenal. 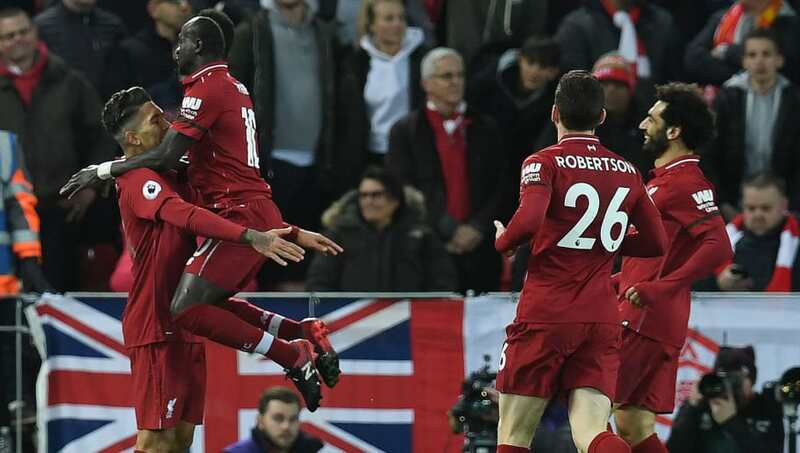 The game didn't start too well for the hosts, who went behind thanks to Ainsley Maitland-Niles' 11th minute strike, however a Roberto Firmino hat-trick and solo efforts from Sadio Mane and Mohamed Salah ensured the Reds recorded their 17th Premier League win of the season. 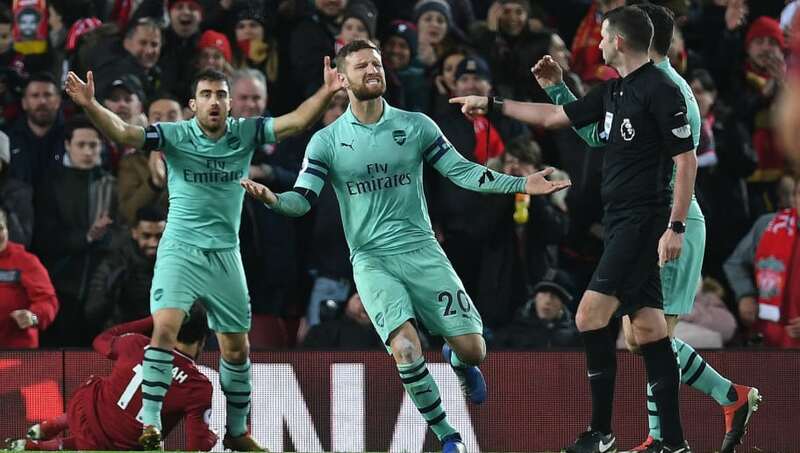 The result at Anfield was a true reflection of Liverpool's dominance, as they punished an Arsenal side guilty of making too many basic errors. However, the most impressive aspect of their performance their reaction to conceding the early goal. Maitland-Niles put the Gunners ahead in the 11th minute. Liverpool teams earlier into Jurgen Klopp's tenure at the club perhaps would struggle to get back into the game, however this side were 2-1 ahead just five minutes later. 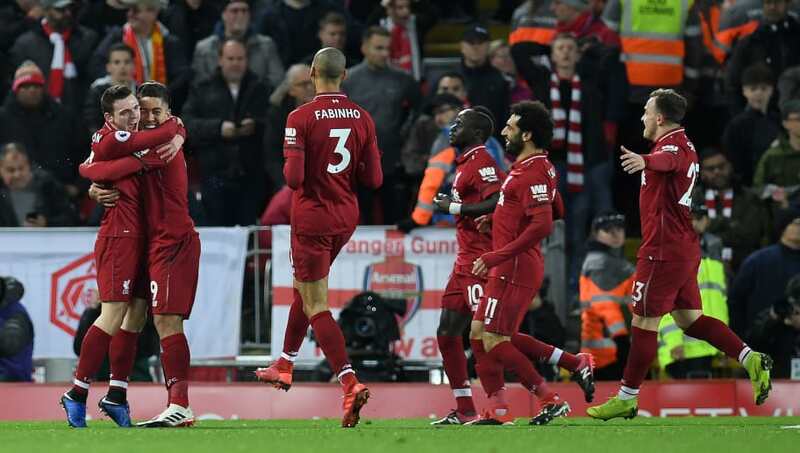 Their equaliser was fortuitous, but every team aiming for the title requires luck throughout the season, while the second was anything but, as Mane pressed Lucas Torreira into losing the ball, before Firmino put his effort away to complete the swift turnaround and make the rest of the game a lot easier than it could've been had they not responded so quickly. 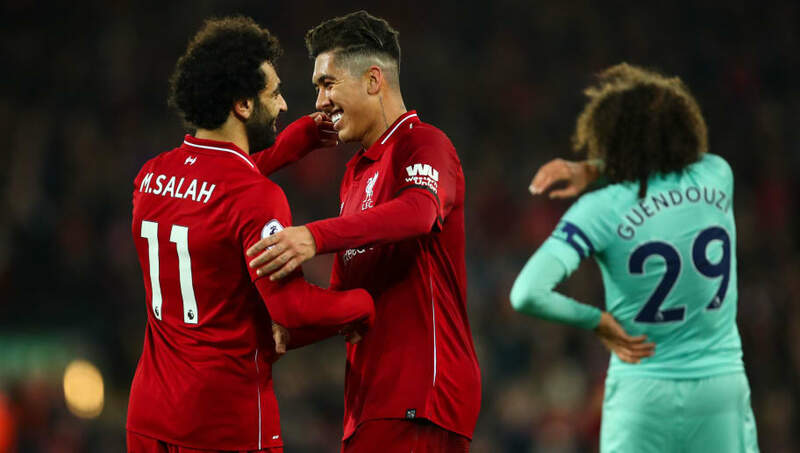 As good as Liverpool were, they were half-helped by the abject performance of Arsenal after they took the lead, as the visitors gifted their hosts goals with alarming regularity. The defence as a whole were poor, with Sokratis and Sead Kolasinac giving away penalties, while the other two members of the starting back-four, Stephan Lichtsteiner and Shkodran Mustafi, were equally as culpable for Liverpool's other three goals. Even Torreira was robbed of possession for Liverpool's second as Arsenal were the makers of their own downfall, with their deficiencies in defence highlighting where Unai Emery should be looking to strengthen in January, despite already signing a goalkeeper and two defenders in the summer. Liverpool's win was largely down to the performances of their front three, as Mane, Salah and Firmino all got on the score sheet, with the latter stealing the show with his hat-trick. After murmurs of a slow start from the Reds' front three, the trio have now collectively scored 12 goals in Liverpool's last six league games, while their combined league tally of 28 goals is more than 13 Premier League clubs overall. What's more impressive is that Klopp's side have scored more league goals this season (48) than they had at this stage last season (46), which will no doubt please the German, as he's going into the next game against Manchester City. While the manner of the defeat will displease Emery, what will worry the Spaniard even more is that defeats away to top-six rivals have become the norm for Arsenal, which will need to change if the former Sevilla and PSG boss is to enjoy success in north London. Since Arsenal's 2-0 away win against Manchester City on January 18th 2015, the Gunners have failed to win any of their last 20 away league games against fellow top six sides, losing on 13 occasions and drawing the other seven. It's a habit that Emery needs to eradicate if they want to have loftier ambitions than finishing fourth in the future, although following their performance at Anfield, improving their away performances could be easier said than done.